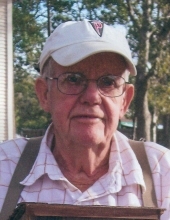 Billy Gerald Russell, 86, passed from this life on January 30, 2019 in Houston, Texas. He was born to parents Larkin Lee and Eva Golden Russell on December 19, 1932 in Holdenville, Oklahoma. Billy proudly served his country in the United States Army during the Korean Conflict. He was known by many as “Catfish Bill”, and was the dedicated owner of Catfish Bill’s Restaurant on I-10 in Cloverleaf for many years until moving to Livingston where he opened another successful Catfish restaurant. He and his family enjoyed the business in Livingston for 19 years and made many wonderful family memories there as well. He is preceded in death by his parents; brothers and sister, Eber Leon Fariss, Otis Clinton Russell, Elmer Lee Russell, Roy Walton “Jack” Russell, Samuel Frederick Russell, and Edna Grace Ables; first wife and mother of his children, Nellie Faye Arnold Russell; step-sons, Gary Carr, Rusty Carr; grandsons, Christopher Clayton Carr, PFC Kevin Allen Taylor, and Seth Pitts. He is lovingly survived by his wife of 41 years, Barbara Jane; children, Cathy Russell Williams, Debbie Taylor and husband Don; “son” of the heart, Walker Travis Anders; step-sons, Ronald Carr and special friend Gwen Bayer, Rodney Carr and wife Pat, Clayton Carr and wife Donna, Phillip Carr and wife JoLynn, Rhonda Carr Canfield and husband Philemon; sister, Sarah Pauline Russell Cofer; as well as numerous grandchildren, great-grandchildren, and even a few great-great-grandchildren. The family invites you to join them for a visitation on Wednesday, February 6, 2019 from 5:00 P.M. to 8:00 P.M. at Carter-Conley Funeral Home. Funeral services officiated by Pastor Danny Kilcoyne will be held at 10:00 A.M. Thursday, February 7, 2019 in the chapel of Carter-Conley Funeral Home. Graveside services with military honors will follow at Houston National Cemetery at 2:15 P.M. under the direction of Carter-Conley Funeral Home. To send flowers or a remembrance gift to the family of Billy Gerald Russell, please visit our Tribute Store. "Email Address" would like to share the life celebration of Billy Gerald Russell. Click on the "link" to go to share a favorite memory or leave a condolence message for the family.